Want to indulge in a little luxury without breaking the bank? Well firstly, here are a few items small enough to fit into a Christmas stocking, all under £16 - Sheepskin Keyring, Mini Fair Isle Stocking and the Tassel Keyring. These cute accessories are perfect for adorning handbags and Christmas trees alike this season. 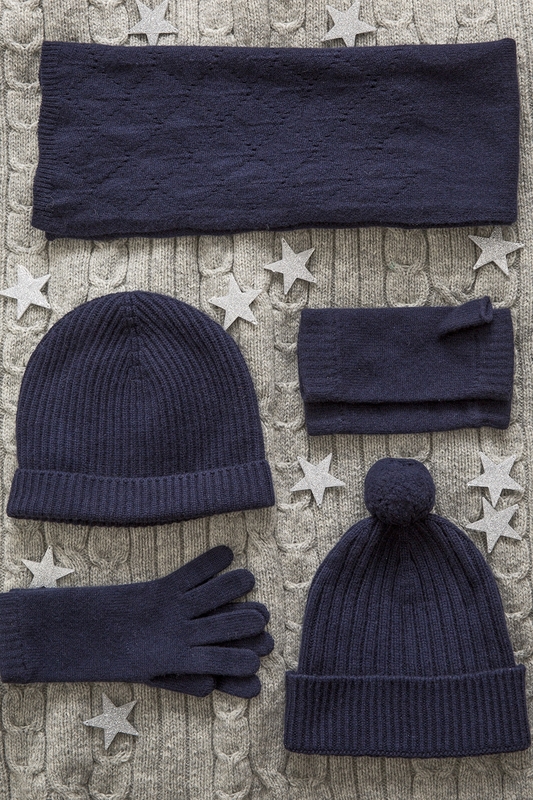 Heading into the realms of classic Christmas gifting, there’s nothing better than cashmere hats, gloves and scarves – a sure win with anyone needing the added comfort next to their skin when wrapping up. Since we are on the subject of classic gifting, you can’t get any more traditional than a pair of socks. 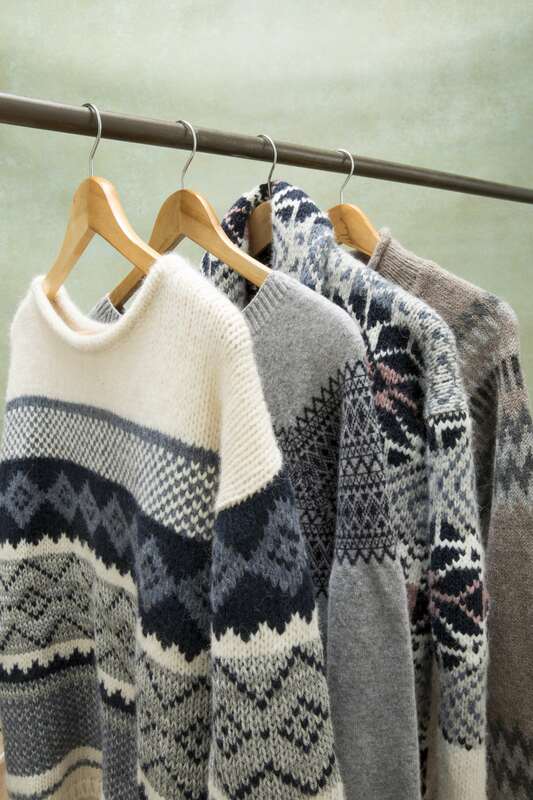 Ours vary from wool to cashmere and come in wearable styles for both men and women. Lastly, give the gift of warmth with a sheepskin hot water bottle, the perfect companion to snuggle up to on a cold night. As Christmas draws near, our workshop and warehouse staff (known here as Santa’s Elves at this time of year) are at their busiest, handcrafting and posting out our cosy sheepskin boots and slippers, destined for Christmas stockings across the globe. Not only does our sheepskin footwear make for great gifts for loved ones, you can always treat yourself to a pair too. In an array of different styles and colours, our footwear is handcrafted from 100% pure British sheepskin, double stitched for added durability and most are machine washable. Yes we did just say machine washable! CHRISTMAS EVE – Get your ‘Hygge’ on with our alpaca knitwear. Available in festive Fair Isle patterns and feminine muted tones, our Nordic Jumper and Snowflake Cardigan are the epitome of pure casual luxe. Pair with our sheepskin House Boots for that real kick back look. You can even roll them down to expose the cuff. CHRISTMAS DAY – The perfect excuse to dress up, even if you are spending the day at home. Slip into a pair of our Stretch Leather Leggings and feel fabulous. 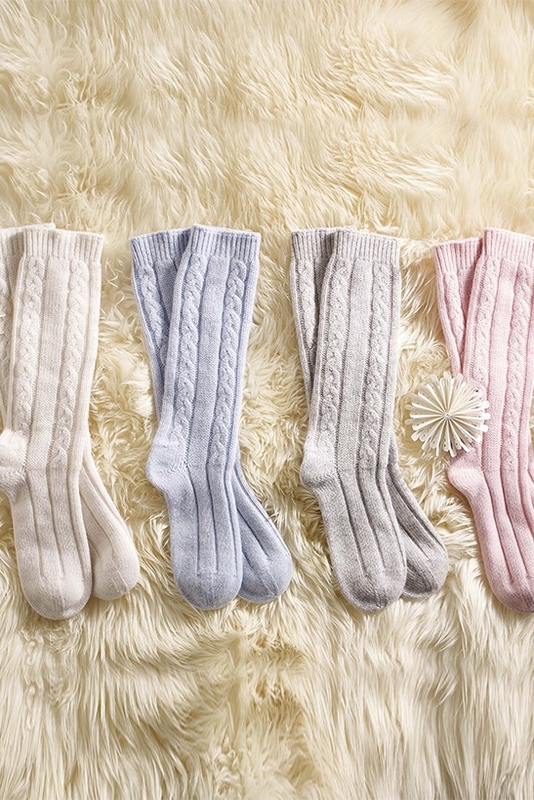 So soft and versatile, they can be worn with high heels or even slippers since they dress up any style. Not brave enough for 100% leather coverage? Then try our Gabardine Leather Leggings which are half leather and half cotton, worn here with the festive punch of colour – Berry, in our best-selling Supersoft Slouch Jumper. If a different neckline is required, then the Easy V-Neck style jumper in the same colour is also on offer. If you’re venturing out for dinner or meeting friends for that traditional Christmas drink, make sure you’re cosseted in luxurious Toscana sheepskin. Our beautiful ¾ Toscana Trim Coat adds sophistication to any look. BOXING DAY - Getting out for a long walk after the indulgences of the season is just what is needed to let the Christmas pudding go down. If it’s a walk in the wild and rugged footwear and waterproofs are needed, you can rely on our weatherproof Aqualamb Sheepskin Boots to keep your feet warm and dry. Wear with one of our wax jacket styles over a chunky knit for complete coverage. For more gifting inspiration for the rest of the family, pets included, as well as how to make a home a haven at Christmas, check out our next blog!